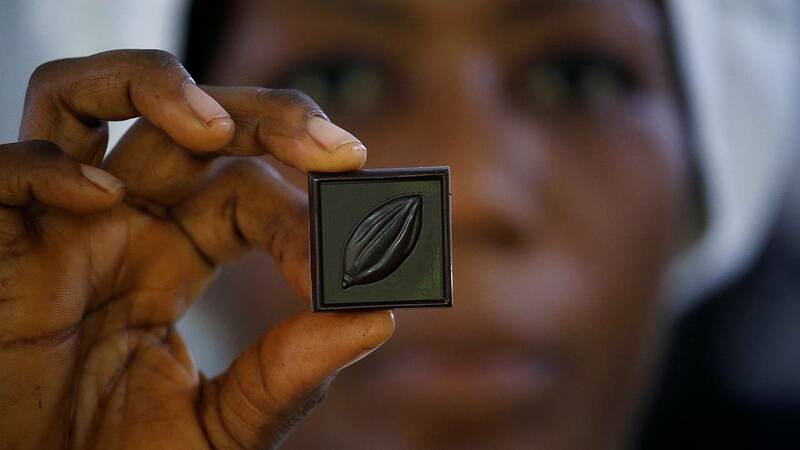 In Ivory Coast, Dana Mroueh's chocolate factory is a rarity - and not only because the world's top cocoa grower produces precious little finished chocolate. Organic cocoa beans are difficult to find in Ivory Coast, where the overwhelming majority of farmers use chemicals and insecticides. Yet, there are a handful of factories committed to not only work with organic products but do it in a sustainable and healthy way. The artisanal chocolate brand called Mon Choco is one of them. To start with, in the middle of the floor of the factory sits a grinding bike and the workshop secrets are not over just yet. Click on the video above to learn more about this small chocolate factory, where everything is made by hand and foot.